Dear Salvation Army – Salvation Isn’t Enough! It isn’t enough to merely accept salvation at the penitent form when we initially accept Christ as our personal Savior. It is not enough to repent of our sins just once at that penitent form. Once we have received this initial sanctification we have invited the Holy Spirit to take up residence within our hearts and lives. The very same Holy presence who bore witness to the creation of the universe and to the crucifixion and resurrection wants to bear witness to and actively engage in our spiritual development. Salvation isn’t enough because it only leaves us forgiven. Receiving forgiveness and being cleansed is only the beginning of our spiritual journey. Transformation must begin to take root within us. It is like scraping off the old, worn wallpaper in a home. Once the old wallpaper is gone and the bare walls are exposed one does not simply leave them naked and exposed. Those walls will only reflect the barrenness of an unfinished place. A true craftsman and interior decorator will not let those walls remain unfinished. Those walls will be painted with diligence and focus. Not a spot will be missed. Those walls will be finished, and when they are finished they will reflect beauty again and make that home hospitable once more. So it is with our lives. The Holy Spirit does not wish to leave us unfinished. Yes, we have been stripped of the old, broken, sinful interior. The walls of our lives are now clean, but they are unfinished. They are incomplete. Something is missing. The Holy Spirit longs to then begin this transformation within us. He longs to diligently focus us. To expose unfinished places of our hearts. He longs to repair us. To patch the holes. To remove the rot. He longs to remake us in a way that we will reflect our original beauty again. The Holy Spirit longs to make our lives holy. He longs to restore in us the image of the true Master builder. Once we kneel at that altar and confess our sins we do not then claim to have gained holiness, no! We have only just begun to allow His Holy Spirit to begin this work within us. This sacred moment is not an ending, but a life long beginning. I am not saying that Holiness will always take a lifetime to fulfill within us, but that this spiritual journey IS for a lifetime! Dear Salvationists, our goal isn’t to look and act like our founders of this army! No! For even our dear founders were striving to look and act like the very One who gave up His life as a living sacrifice for us all! 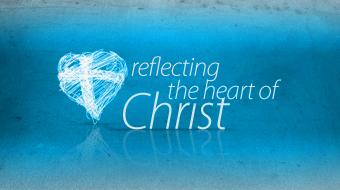 Our goal in this thing that we call “holiness” is to act and reflect the very nature of Christ! Some might respond, “but that’s simply not possible!” I would agree with you if we only approach this daunting task as a human and with the only strength and power of humanity as our guide. But we have One who is within us! We have One who has more strength and power than we could ever fathom. We have God’s Holy presence with us to be that bridge amongst the impossible! A surrendered life is the reflection of Christ! We do not simply accept salvation at the penitent form and get up complete and transformed. 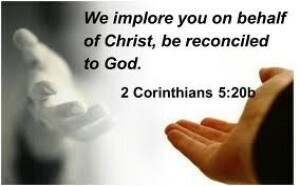 Yes, we must be careful to conceded we are being transformed at the moment we say “yes” to Christ, but that completion of holiness can only be accomplished when every fiber of our being is fully surrendered to the will of Christ. Is it fully surrendered in you and me? Are we prepared to make that full submission? It will cost us everything and yet we will gain everything in the process. Salvation Begins The Transformation In Us – Get Up! 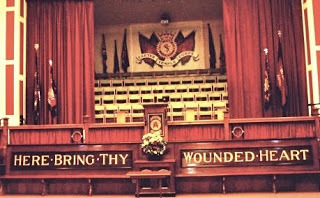 Dear Salvationists, get up from the penitent form! Do not linger there forever! I do not mean that this sacred moment wasn’t important but there is still work to be done within us! We cannot fully realize that completion if we are not prepared to move. If we are not prepared to get up from the altar of our salvation and step into a deeper fuller relationship with the One who saved us! He longs to transform us, but we must be willing to surrender those places exposed by His conviction and prodding. When He prods us, it isn’t to shame us, it is to heal us completely from the ravages of our old lives. These remnants of depravity must be removed from us. If they are not completely removed, they will hold us back. They will prevent us from fully realizing Christ in us. Refusing to relinquish such a stronghold can and will limit our reflection of His light into this world as well! We were saved and set apart for a higher calling, but how can we realize this higher calling if we still entertain the whispers of the old life? We were saved for so much more than mediocrity in our faith walk! Get up, dear soldier and listen to His still small voice in your life today! Yes, Salvation isn’t enough…it is only the beginning of our mighty and holy transformation! Something more for our Army to ponder today, to God be the Glory! Great blog, Scott! How we (and the entire church) need to hear and heed it! I just found this quote in an old book by a guy named Dietrich von Hildebrand: “Being transformed in Christ, becoming a new creature in Him, is the goal of our existence.” To stop short of that is to miss the mark. I was born and bread Salvo and your teaching is one I heard for so many years and would (have) whole heartedly agreed with you. However for all those years I felt empty and guilty. Yes I had accepted Jesus, yes I wanted him to work in my life and transform me, yes I knew the verses (And do not be conformed to this world, but be transformed by the renewing of your mind, that you may prove what is that good and acceptable and perfect will of God Romans 12:2). I think though like many Salvationists of this era I just didn’t get it. I spent so much time asking God to renew my mind, but nothing changed. The thing is, I have learnt in recent years, that God wants us to love our neighbour as ourselves (Big news flash right!! ), but really what does that mean? For the least of these Jesus died etc… I was part of the Salvos, of course I loved the poor, the alcoholic the drug addict right? REALLY???? How many of these did I know personally? Not long ago I came under a new understanding of this verse. I was expecting God to do the renewing, when maybe I had to do the renewing and he would do the transforming. This had nothing whatsoever to do with sin (or the “ravages of our old lives” as you put it), it was actually about making an effort to love people. The people I would normally (in my normal day to day life) scoff at, ignore, overlook or judge. This was about giving some money to the poor uni student who’s dad just had a stroke so she could get home to see him, this was about taking a fellow colleague who had broken her arm and couldn’t drive out for coffee, just to give her company. This was about not feeling superior and judgemental when I saw a gay couple, this was all those things and more. When I made the conscious decision to renew my mind in my way of thinking God was faithful to transform me. Do I still sin? YES all the time. Don’t we all? What bothers me about your post – and please correct me if I’m wrong is that you seem to imply that the call to holiness is about removing the sin from our lives. That to be holy = to be sinless. 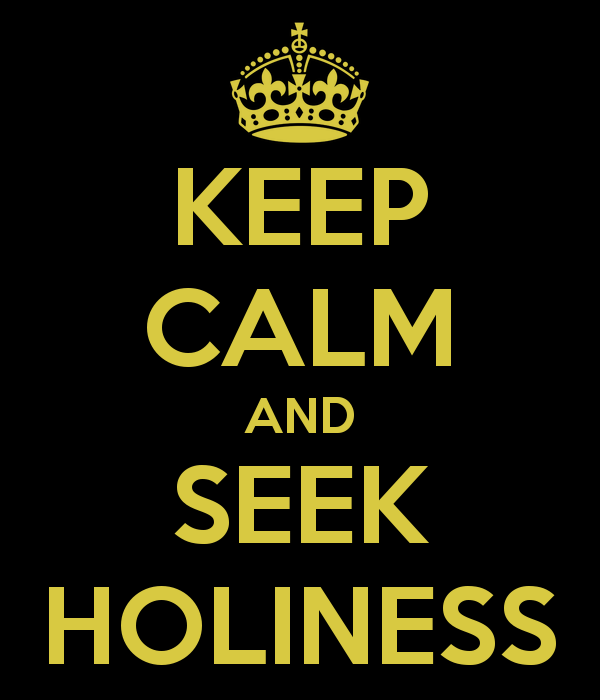 However I think the definition of Holiness is somewhat different to what we have been taught (especially in the SA). I really think the call to holiness is to be dedicated to our Lord and Saviour, or to be conformed in his image. Jesus didn’t actually talk much about sin, he spoke far more about love, kindness, and mercy. I would love to see you challenge your readers to think what does this really look like in todays world? What is the good and acceptable and perfect will of God?